In this cutting-edge active learning space you’ll be able to try all sorts of new things: test instructional technologies, observe new pedagogies, or develop the next teaching innovation to drive student success at UofL. We’re trying something new, and we hope you will too! 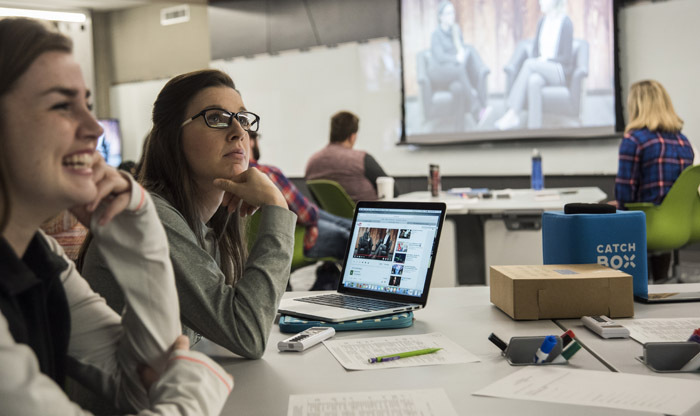 The Teaching Innovation Learning Lab (TILL) is the space for faculty-driven exploration and testing of innovative teaching methods that will drive success for the 21st century student. Develop the next teaching innovation to drive student success at UofL. Experience a technology-enabled active learning space like those that are in the new Belknap Academic Building (BAB). Collaborate, observe and debrief new pedagogical methods and active learning approaches to teaching. Find out how you can contribute to student success at UofL by getting involved in the TILL.